Is the cloud new or a new buzzword? Participating in an audio or video conference via a conferencing service that uses multipoint conference bridges located "in the cloud"
Some will look at this list and mostly approve but raise an eyebrow over ﬁxed-line phones, assuming that it must be an error, because those are so, well, last millennium. But it is hard to draw clear boundaries between a Voice over Internet Protocol (VoIP, or Voice over IP) connection over Wi-Fi, and one over a wired cable, and one that uses traditional circuit-switched copper wires to access a Voice over IP core, and a pure legacy plain old telephone service (POTS) connection. As Bloomberg Businessweek's Ashlee Vance quipped, "The 'cloud' refers to the amorphous, out-of-sight, out-of-mind mess of computer tasks that happen on someone else's equipment. For the past ﬁve years or so the cloud has been hyped by companies to mean anything that happens on the Web, which is how 'cloud computing' came to rival 'social networking' in overuse." 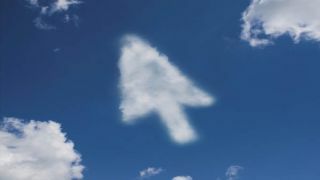 Cloud computing is a model for enabling ubiquitous, convenient, on-demand network access to a shared pool of conﬁgurable computing resources (e.g., networks, servers, storage, applications, and services) that can be rapidly provisioned and released with minimal management effort or service provider interaction. Further, NIST deﬁnes ﬁve major attributes: on-demand self-service, broad network access, resource pooling, rapid elasticity, and measured service. The NIST deﬁnition is quite an achievement of both semantics and compromise among a variety of constituencies. For example, it refers to "broad network access" rather than specifying a particular network technology, such as the Internet. However, I would argue that it is semantically equivalent to a simpler deﬁnition I devised a few years ago, which is a mnemonic not restricted to computing, based on cross-domain, relevant, quantiﬁable, economic characteristics. Conveniently, this spells out an easily memorized acronym: C.L.O.U.D. These may at ﬁrst glance seem like ﬁve unrelated attributes, but they all tie together in an integrated business model. rational use. Such on-demand resources with utility pricing can be economically viable only if they are allocated out of a shared pool. Sharing can occur only if the resources are available regardless of location. And, if such sharing is to occur, there must be a network allowing access to resources from whichever location the customer happens to be. It all ﬁts together. Elsewhere I've shown that this deﬁnition can be rigorously speciﬁed, axiomatically, from the foundations of mathematics, and that there are interesting problems in computational complexity arising from the cloud, but such discussion is well beyond the scope of this book.